Luxurious Summer Place is a low-density complex boasting only 53 units sprawling across 230 feet of beach frontage. This condo is nestled between Waterscape and Azure, conveniently located close to area restaurants, shopping, entertainment venues and all sorts of outdoor fun. Enjoy being within ten minutes to Destin without all the traffic. 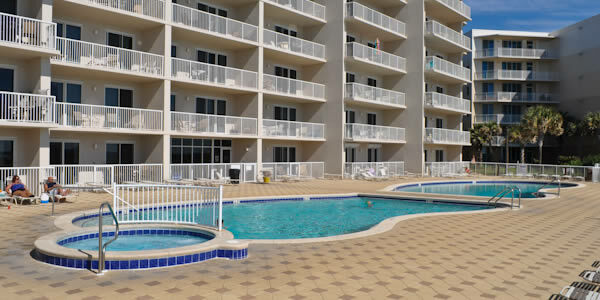 Available amenities are a gulf front exercise room, two swimming pools (one heated), hot tub, barbecue area, high-speed internet and plenty of parking. Beach service is also available. Okaloosa Island offers many fun ways to fill your days including boating, jet skiing, cycling, fishing, swimming, diving and snorkeling. Do not forget to check out the Gulfarium Marine Adventure Park, fun for the whole family. 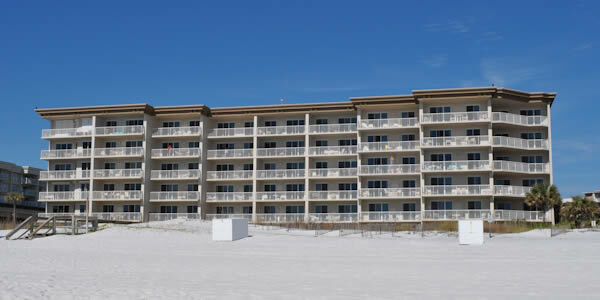 Summer Place Condos has available two, three and four bedroom units, all of which are gulf front. The over-sized balconies allow you to experience the exquisite gulf beach views from the comfort of your home. This gem of a condo is perfect for a long term home, second home or even as a vacation rental. Downstairs you will find a fully staffed front desk, great for rental income, and security to maintain safe and quite surroundings.